Buy, Rent or Skip The Da Vinci Code? It was a long time coming, but I finally got around to watching The Da Vinci Code for the first time. Unfortunately it just wasn't all that great. I never read the book and really didn't even know about its existence until the movie first came out. I did think the concept was interesting at the time, but it never really compelled me to see it then or the years after that. I guess the reason why I kept putting this one aside is because I had it in my mind that it would be exactly like National Treasure. Now prior to watching The Da Vinci Code, I had told myself that I don't want it to be anything like National Treasure as far as being so over the top outlandish to cave in on itself on pushing the believability factor of the plot. Well, in hindsight I guess I would have preferred that it was over the top. Code was just a very dry movie that never really kicked into any kind of high gear, but it was never so boring that I would lose my interest watching it. It just didn't do much for me one way or the other. I really can't see myself recommending this to anyone, so chalk this one up as a Skip. Definitely not one of Ron Howard or Tom Hanks best films. If you remember and maybe not, The book Da Vinci Code was just doing phenomenal. Everyone was reading it. Then the Catholic church tried to poo poo it and that probably just boosted it even more. It was on the charts forever. A movie was inevitable and the hype machine kept on rambling. I loved the book. It was an easy read and rather fascinating. I read it as fiction, but like everything else, there are extremists and took it as revealing facts and possibly painting a bad picture of the church. Spin control. I was excited about the movie. I did not see it when it came out, but despite luke warm word being spread, it made a ton of money to become the 2nd highest grossing film of 2006 and forging ahead with the sequel. So by the time it came out on DVD, I finally got to see it. It was apparent the concensus was right. Not much here… move along. I’m not even sure I cared or saw Angels and Demons. 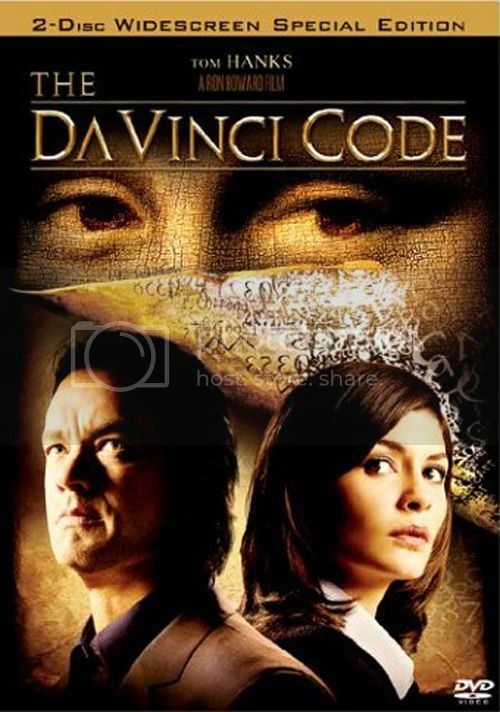 But the Da Vinci Code is one of those movies that by the number did well, but dare say anybody remember it or care? I probably had my head in the sand and just didn't "hear" about the book. So, in your opinion, what was wrong with the movie? Did it deviate from the book in such a way to miss the point entirely? Or was it just a bad translation and it's better served as a book? I remember the title Angels & Demons. Was this a proper sequel? The book was fast paced. It was like National Treasure or Jurassic Park. It just sped along so smoothly. The book was able to paint a fascinating story the readers could easily imagine. The twists and turns and moving forward just was so easy to digest. If I recall, the movie just got bogged down in all kinds of crap, disrupted the flow, etc. The movie did not reflect the book very well. Outside of Jean Reno, I hadn't imagined ANYONE in that movie in those parts. This was an over-classy adaptation of what was really an airplane novel. I'm still kicking myself for not getting to the "end point" and photographing myself kneeling when I went to the louvre, recreate that end shot (and you mentioned National Treasure, we DID find the Statue of Liberty when we went).